Quickly Print Information from Infor VISUAL Directly on 1099 Forms! for the Tax Year 2012. Updated default dates for tax year 2012. Verification that the forms print correctly on the 2012 Form 1099-MISC and Form 1096. Support for Access 2010 or the Access 2007/2010 Runtime. Verified Support for all VISUAL Versions 6.4.1 through 7.0.0. Reporting Solution for all versions of SQLBase, SQL Server, and Oracle. VizReports™ 1099 Edition is a reporting tool for Infor VISUAL™ designed to prepare and print Federal 1099-MISC tax forms by pulling vendor payment information from the VISUAL database. The application will prompt for setup with SQLBase, SQL Server, or Oracle database platforms. User security credentials are required. Designed to print on IRS 1099-MISC laser printer forms. Tested on OMB No. 1545-0115. Microsoft Access must be installed to use this reporting tool. 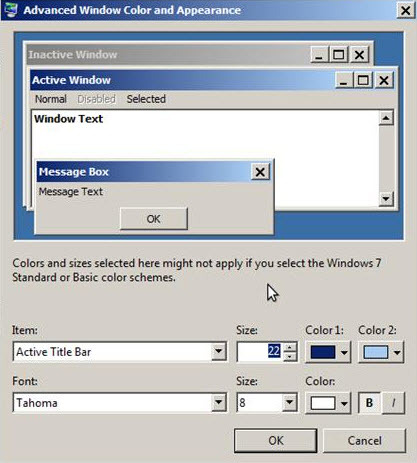 We'll send you a file designed to run with the Access version you select during the purchase (2000/XP/2003/2007/2010). Did you know that you can enhance your business processes and information flow with VISUAL Macros? On the surface, a VISUAL Macro appears to be a piece of code that interfaces with VISUAL windows, allowing you to change or check values, perhaps making minor edits prior to saving. Most people see this as a way to perform validations, or to fill in empty fields. A closer look reveals that the Macro does far more. The code can be triggered by a push-button on the toolbar, a menu selection, or by user actions like saving a record. A Macro can be used to query other database tables, or even to update records, should you be so bold. Suddenly, the possibilities expand. Macros are written in VB Script, and there are a vast number of script examples available, in all forms of media, from books to webpages and YouTube videos. Knowing this, writing Macros becomes a little less intimidating. If you continue down the rabbit hole, you uncover the truth. VB Script supports external API calls to your operating system. This means that a Macro can do almost anything to enhance business processes and information flow. VISUAL Macros can call stored procedures, open external programs and pass values, open user forms, and interact with VB applications that you write yourself. You can gain access to Excel, Word, or any other application, if you know the secrets of VB Script. Keep it simple, but don’t feel limited. Take what you need – the power is all there, just under the hood. Join the millions of users who utilize VB Script daily. Take advantage of the many resources available on the Internet, in books and educational courses, provided by your Infor channel partner, and through other VISUAL users just like you. Then, you too can begin using VISUAL Macros to empower your business, and expand on your current capabilities. This Infor VISUAL Tip was brought to you by BizTech VISUAL Consultant, Paul Turnberg. Contact your BizTech Client Solution Advisor today at 800-804-4715 to schedule Macro training or request a estimate for your Macro development requirements. Inforce is now generally available for Infor VISUAL. The result is a more robust 360-degree view of the customer in Salesforce. Connecting your back office with the front office increases sales efficiency, quickly driving more sales and enabling new highs in customer satisfaction. Inforce provides VISUAL-managed customer information within Salesforce CRM, delivering rich and detailed information to customer-facing personnel, including contacts, quotes, orders, shipments, invoices, receivables, and returns. What’s more, Inforce keeps core customer data in sync between VISUAL and Salesforce, enabling a more informed, responsive, and effective enterprise. The combined solution of Inforce, Salesforce, and VISUAL results in an increased return on investment for both Salesforce and VISUAL by enabling an accelerated implementation, reduced risk, improved customer satisfaction, and reduced costs. "Combining ERP data with the Salesforce CRM through ION with Inforce enables us to deliver incremental value to customers, something we will continue to drive through our partnership with Salesforce.com and the development of the future joint offerings,” said Duncan Angove, president, Products and Support, Infor. The partnership between Infor and salesforce.com provides customers a comprehensive cloud-based application that benefits from deep and wide integration with Infor VISUALthrough the lightweight Infor ION platform. Infor ION is the key to connectivity between VISUAL, Inforce, Salesforce, and any other ION-enabled application. Now users can create and maintain contacts and accounts in both ERP and CRM systems, providing a single connection point that helps avoid the problems of traditional point-to-point integration while offering different possibilities for additional application connectivity. When displaying the main VISUAL menu in “Ribbon” mode, the menu items are often cut off. Did you know that you can adjust the VISUAL title bar size so that your menu items are in view? Change the “Active Title Bar” size to at least 22. Presto! The entire title bar is displayed correctly. This VISUAL Did You Know tip is brought to you by Darren Farmer, one of BizTech's VISUAL Consultants.